On our final day of looking at how Easter is celebrated across the world, we concentrate on the traditional Easter celebrations in the UK. With a large Christian population in the UK, Easter is celebrated in various different ways. 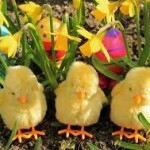 The traditional pagan aspects of Easter are also adopted by the vast majority of the population in the UK. Here are some of the things you might expect to notice throughout the upcoming Easter weekend in a typical British household. There is a special service carried out in by most parishes on both Good Friday and Easter Sunday to commemorate the events of Jesus’ death and resurrection. On Good Friday, Catholics do not sing hymns at mass and leave the church in silence. Easter Sunday is a day of celebration across the country, regardless of your religious background. Most Christians will visit church in the morning to celebrate Jesus’ resurrection, whilst Christians and non-Christians alike typically follow pagan traditions by organising Easter egg hunts for the children and giving out chocolate eggs to one another as gifts. The vast majority of working organisations are closed down for a long weekend, spanning from the end of Thursday to the beginning of Tuesday. Hardly any shops are open on Easter Sunday, with limited public transport available as well. It is a quiet day that encourages families to get together and celebrate the bank holiday weekend. For more on RAND’S unrivalled delivery service throughout the UK and abroad, get in touch today. We’d be delighted to hear from you! We wrap up a happy week of delivering baked goods and perishables with a few last minute tips in making sure that your confectioneries reach the recipient in top condition. Certain types of baked goods are easier to ship than others. Layer cakes and fragile goods like meringues are not recommended when sending things by post, although with meringues if you absolutely have to send them, sometimes freezing them works better and keeping them packed in cold storage, because this decreases of their chances of breaking in transit. Moist breads, cookies and fudges and caramels are good for shipping as they are flexible and heavier and are less likely to break or ruin if they are thrown about a bit when being posted. Still place a ‘fragile’ sticker on all baked goods to prevent any cookies or muffins being ground into dust though! Strong flavours tend to overpower others especially if they are kept in the same space for extended periods of time. If you are thinking of sending gingerbread cookies or cookies with other strong flavours with more mild flavours, try to package them in separate boxes as the milder flavours can be overpowered by the stronger ones. For more information on the level of services we can provide throughout the UK and worldwide, please contact RAND Logistics. With a well established network sending parcels throughout the world, from Italy to New Zealand and anywhere in between, RAND Logistics is the only courier to choose. We’ve had a week full of helpful advice on what you can give people for Christmas. Now here are some prime examples of what you probably shouldn’t gift people, whatever they are celebrating. Quirky money boxes such as cats pawing at money you put on a cream saucer? Yes. An eerie face set into a wall that chews excitedly as you approach it with your money? Definitely not. A Face Bank is a Japanese toy that was quite popular if you are sending a parcel to Japan. The lower half of the wall contains a sensor that alerts it to nearby money, and the mouth moves as if it is trying to chew and swallow the money you feed it. Some trends don’t translate so well, it seems. Dolls. Dolls can be a very touchy subject. Normally when gifting someone a doll, you will know whether or not it is the right sort of gift for that person. However, there are some dolls that would never go down well. 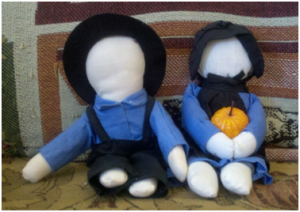 A traditional Amish doll is a doll that lacks a face, to symbolise that we are ‘all alike in the eyes of god’ however in today’s modern shock society a faceless doll serves as less of a biblical present and more of a creepy horror icon. I guess you could always stick some googly eyes onto the doll if you really wanted. Once you’ve decided on a better gift for your international relative, have a look at RAND Logistics competitive shipping rates. It’s the final day of Christmas gift ideas before the big day and what better way to top it all off than give you the top 5 gifts for all this December 25th. We’ve covered all sorts of different gift addressees in the last month so it’s time to wrap everything up with a top 5 of Christmas panic-buys and homemade items. Here’s what to do if you’re still stuck for ideas with just a few days remaining! This shouldn’t just be an ordinary chocolate bar. Search around for some truly special chocolate treats, whether it’s to do with a theme your loved one might like or just something a bit more expensive than usual. They offer a great service over Christmas time so a pretty-looking candle with a pleasant aroma could be the road to go down. If you’ve got time, why not try and make your own gift in the shape of a warm hat or scarf? Otherwise, hats and scarves are great gifts that are more than necessary for the upcoming winter. It’s a kind of treasure trove where you collect a selection of treats and store them in a nicely wrapped present box. It’s a gift that might seem small but portrays a huge amount of kindness and effort. Got last minute gifts to send to someone this year? RAND Logistics are prepared for you whether you need an international service or something a bit more local. Have a look at our services for more information. You may well be away from someone this Christmas and in the process of planning the gifts for that particular family or group of people. After covering their gifts, consider if they’ve got any pets as well! Sending gifts to the family dog or other family pet is sometimes essential, especially if you know the pet well. Whatever the situation may be, a gift for a pet can be a heart-warming gesture to the owners as well, so why not consider some of our pet gift ideas this Christmas? One of the best possible gifts you can get for a pet this Christmas is food. Food for a dog or other household animal can be easily purchased at any general store. In addition, you might want to have a look at some of the luxury food brands for an improvement on your average pet food. Make sure you check countries list of prohibited and restricted items when shipping internationally as food is sometimes present on these lists. Another gift idea for pets is a toy. Toys are great gifts that are almost certain to work with any animal that you’re specifying. From scratching posts and chew toys through to tennis balls and treats, toys are certain to keep any pet occupied when they are tempted to chew up their owner’s presents! Are you preparing gifts this Christmas? Whether it’s a family friend or a pet, take a look at RAND’s services this Christmas and make the most of our international parcel delivery option. Our Christmas gift ideas continue and today we are focusing on the ideal present for women. It’s no surprise that so many men are panicking up until the last second because they don’t know what to get for their other half. In addition, you might be struggling for gift ideas intended for a female friend who is currently oversees. Whatever you situation may be, take note of our top 3 Christmas gift ideas for women here before you carry your anxieties all the way through to Christmas Eve. It’s not the easiest present to give another woman if you’re a man but in fact, women are very fond of the idea of receiving clothing as a Christmas gift. You might want to ship a gift to Russia such as a comfy scarf or hat that can provide them with warmth during the colder days or you might be able to get some personal advice beforehand regarding a preferred onesie. Ultimately, clothing can be a very safe and realistic option as a gift this Christmas. Everyone likes a DVD Box set and your wife or girlfriend might really appreciate a whole box set of their favourite show this Christmas. It’s an especially good present if you and a friend are both interested in the show as it highlights some of the significant elements of your friendship. An excellent option if you’ve done the background research. It’s the easy way out but always an appealing gift. It doesn’t matter whether you’ve known someone for decades or you’re getting your first Christmas present for them, beauty products are an ideal gift for women. They may be temporary gifts that don’t have personal representations but they are a popular gift that always seems to work. If your still stuck for ideas, this is the way to go. Finding gifts for friends and loved ones can be tough but if you follow our top 3, you may well be sorted for the run in to Christmas Day. Don’t forget to make the most of RAND Logistics services this Christmas as you prepare to ship your gifts both across the country and internationally. Today we look at some of the ideas Christmas gifts that men will be after this Christmas. If your struggling to find the perfect gift for your husband or need to send something internationally to a male friend in time for Christmas, you might want to consider a few of the gift ideas we have to offer. There are all sorts of great gifts that would be perfect for men this Christmas, so here’s a top 3 of the some of the best Christmas gifts for men you can get this year. Barbecues are symbolic of the summer months and any guy is going to want to put his barbecuing skills to the test during the warmer seasons. It could inspire them to start cooking more often and it proves to be an excellent alternative to cooking in the kitchen. There are all sorts of affordable barbecues or barbecue products out there, but this is certainly the ideal gift. It might seem a bit cliche but pen knives or other outdoor tool kits can really encourage outdoor activities such as camping and hiking. A lot of men seem to have been inspired by famous adventurers such as Bear Grylls and Ray Mears in recent times, so this could be the perfect opportunity to inspire his dream of venturing through the local forests more often. If you are shipping items like this, you might want to consider our shipping restriction guides for each country beforehand. Finally, docking stations and speakers are actually a great gift for any man, whether it’s from wife to husband or one mate to another. The amount of speakers available nowadays means there are products that suit a variety of budgets and all sorts of different purposes. You can maybe get some speakers that accompany a cycling journey to work or a larger surround sound speaker for the TV. Either way, this is sure to be a big hit as a gift this Christmas. Make sure you make the most of RAND Logistics this Christmas to ship your parcels internationally. Take a look at our list of services for more information. It’s a new week of Christmas gift ideas as we build up to the big day here on the RAND Logistics blog. Today we’ll be having a look at some of the worst and weirdest Christmas gifts to be sent across the globe and some of the reasons why they have become notoriously bad gift ideas. No one’s perfect and sometimes the Christmas presents we get may not be fully appreciated for all sorts of reasons. Here’s a list of some of the most bizarre festive delights to be shared across the world. It’s something that would probably make Del boy jealous. This particular cup of tea has a certain shine to it as the handle is made out of dazzling sovereigns. It’s an excellent gift for the boss but an absolutely diabolical object to look at. This has to be in our list of worst Christmas gifts. Imagine a knife holder shaped as a human being. I think you know what comes next. Sort your kitchen knives by placing them through various areas of the human body. Probably the perfect gift for someone you really hate, then again it could work wonders if you’re feeling pretty stressed after a hard day’s work. Every keyboard needs one of these, especially if your work colleague is absolutely tied down with work on a regular basis. Give them an easy way out with this red panic button, which is shaped like a key on the average computer keyboard. You might be tempted to invest in some of these whacky gift ideas this Christmas, so if you are make sure you make the most of RAND’s international parcel delivery service and get your brilliantly awful presents sent to someone you love. Christmas in Australia – How is it different? Whilst we shiver in our front rooms and keep close to the comforting portable fires whilst covered in blankets and sipping hot drinks, those native to Australia are enjoying the warmth of the sun at this moment in time. Since it’s currently summer in Australia, Christmas seems to have quite a different style over there. Sending a parcel to Australia might be on your plans this Christmas but there’s absolutely no need to give someone over there a scarf or woolly hat this year. Here are a few things to consider when sending a Christmas gift to Australia. Australia is located in the southern hemisphere so the seasons are opposite to that of the northern hemisphere. Australia experiences some of its hottest weather in December which makes Christmas Day an experience unlike that of most other countries. Many tourists head down under to experience Christmas in this particular climate instead of the colder temperatures back home. The blazing heat in some parts of Australia at this time of year means one thing. They’ll be hitting the beach to celebrate Christmas Eve in a rather unique fashion compared to the vast majority of other European countries. If you’d rather not make them laugh with a huge woolly coat as gift, why not get them some typical summery items such as sportswear, sunglasses or maybe even a smoothie maker? If you want to send a Christmas gift to Australia or anywhere else in the world, check out RAND Logistics services and discover how we can ship your parcel across the globe. It’s officially the start of the Christmas season so what better blog to start than a daily guide on some of the best gift ideas available this Christmas that you can send internationally with RAND. The majority of people have their own personal tastes when it comes to gifts, so we’ll be separating out a few of the different target markets to give you the perfect ideas for your lucky friend or family member. Today, we’ll be focusing on younger children and some of the excellent gift ideas that have become available for this specific age group. Kids absolutely adore the Christmas excitement and there’s nothing better than waking up to a full Christmas stocking on the morning of the 25th during your childhood. Kids will love the little time consuming toys, such as miniature table tennis sets and picture books. Depending on whether your child is a girl or a boy preferences will differ, so it’s important that you listen to what your child is in to at the moment, including TV shows or other forms of kid’s media entertainment. It’s a good idea to purchase an item for a younger child that holds educational value. Educational toys are an excellent way of improving the skills of a child and getting them enthused by the prospect of learning, whether they are yet to start school or are well into their Key Stage 2 years. So if you are feeling generous this Christmas and want to send a gift abroad to a distant relative, why not make the most of the services Rand Logistics has to offer over the Christmas period. Contact us today for further information about the services we can offer you.